In September this year, ComScore reported that Pinterest had penetrated the top 50 list of most visited sites in the USA. Not bad for a new social network that is barely 3 years old. The same study highlights Pinterest’s explosive growth, which now equates to over 25 million unique monthly users. Given this fast-growing user base, Pinterest is a solid choice for attracting more traffic, leads and customers to your business. But if your new Pinterest business page is missing a few critical ingredients, then you could be going nowhere fast. 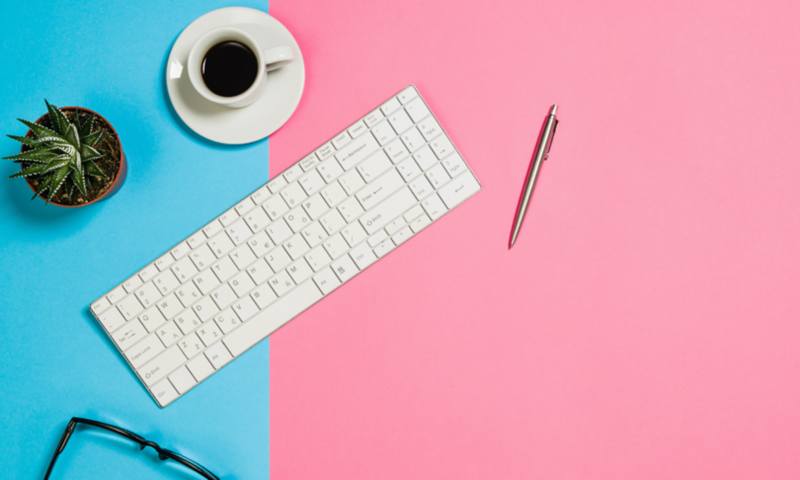 Did you know that the way you set up your page – the photo you use to promote your business, the description you add to the About section, the boards you create and where you actually place them on the page – can influence your Pinterest marketing efforts? Let’s start by taking a look at the “About” section. This is the first thing casual browsers on Pinterest will see when they land on your page so it is essential that you use this opportunity wisely. Don’t leave it blank or waste this valuable space by being flippant or smart. Craft it carefully. Tell people clearly and succinctly about the value you offer and how you can serve them in no more than 200 characters. Be sure to include your top SEO keywords because this section gets indexed by the search engines and is what will appear on Google when people search for you, your products or your services. 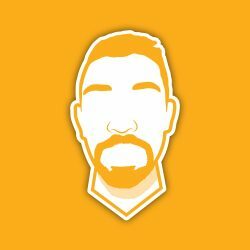 Should I Use A Personal Photo or Logo? When creating (or converting) a business page, Pinterest allows you to upload an image via the settings menu. Whatever you do, do not leave it set to the default red pin icon! At best this signifies a new user, but at worst a “bot” or spammer. The first thing you need to decide is whether you are going to use your company logo or a personal photo. So what’s best? The truth is – it really depends. On the whole, people tend to engage better with a brand when they know the face and name behind it. For service-based businesses, bloggers and personal brands in particular, a professional headshot of the founder can be a very powerful way of connecting with your audience. In some instances though, a logo is better. It can help increase brand awareness, give a more corporate feel to your page as well as reassure pinners that they are engaging with the official brand. Ultimately, your decision should boil down to how you want to be perceived by your audience. Experiment with both and see what converts best for you. You may be surprised! Why Is Board Placement So Important? 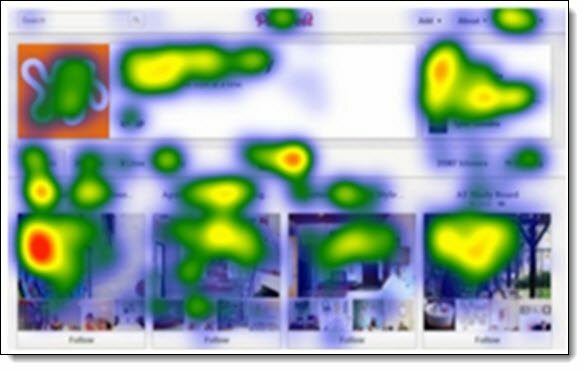 A revealing eye tracking study conducted for Mashable shows that unlike on Facebook, when people browse your Pinterest page their eyes move from the top down the middle of the page. This means that the boards you place at the top and center of the page get seen by the greatest number of viewers. 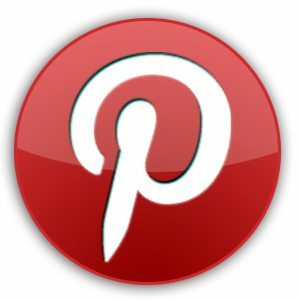 It is therefore critical that you place your best, most popular and relevant content in this precious Pinterest real estate i.e. the top two rows. Newcomers to Pinterest often make the mistake of quickly throwing together a few disparate boards with one or two pins on them. This gives your page a lack of cohesion and makes each board seem incomplete, which will not help you attract followers. In fact, it may damage your brand image. A more effective approach is to build lots of focused boards that showcase the lifestyle around your brand. If you need some inspiration, think about your ideal customer and build boards that address their interests and frequently asked questions. As you grow your page, aim for at least 20-25 boards to give you several complete rows without any gaps and add a minimum of 8-10 pins to each board so they are worth following. Make each board theme-specific and use a catchy title that clearly indicates what it’s about. By all means be creative but remember that by including some keywords in the board description you can enhance your searchability on Pinterest and get your content in front of more eyeballs. 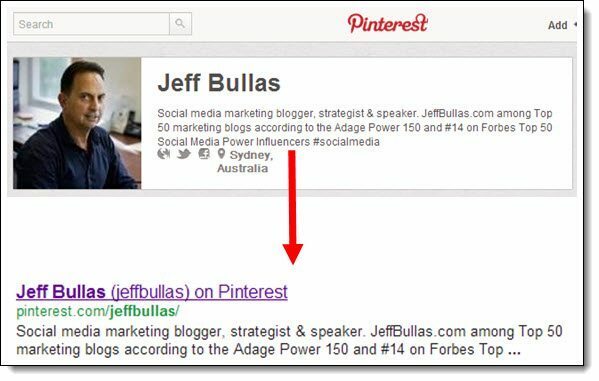 Another tip is to add a few boards that focus on non-industry topics such as Food, Education, Cars, Home, Travel, all of which are popular niches on Pinterest. This will enable you to attract a broader audience and give people an insight into the other aspects of your personality and brand. Remember also to take advantage of trending topics by creating special themed boards relating to these events or occasions and give them preference at the appropriate time of year by moving your boards around. Setting up your Pinterest page in this manner will not only attract a surge of new followers but also help your pins go viral. Take a look at this infographic for more ideas on how to optimize your Pinterest account and capitalize on this hot new social network.